Rabbit anti Chicken, Human DYRK2. A synthetic peptide selected within amino acids 400-500 of human DYRK2. 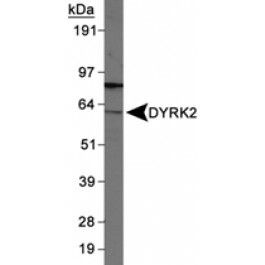 Rabbit polyclonal antibody raised against synthetic peptide of DYRK2.